~*~ Epiphany Mastiffs ~*~ Proud to be home of the Gentle Giants that are Naturally Raised!! 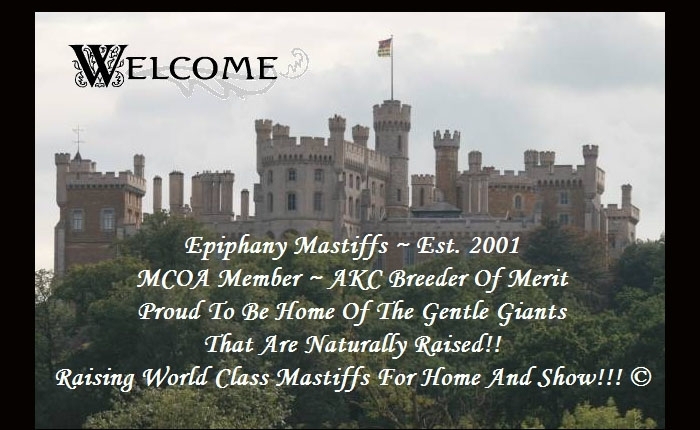 Welcome to Epiphany Mastiffs and thank you for visiting us! We are Candi Thore and Tracy Thore. Pull up a chair and make yourself comfortable while you look around our website that includes many pages with pictures of our awesome Mastiffs and lots of information about them. We live in the small farming community of Waverly in Southeast Virginia which is located half way between Richmond and Virginia Beach where you see lots of cows, pigs, chickens, goats, corn fields and peanut fields. Waverly is located in Virginia’s World Famous Peanut Region and is the home of the first Peanut Museum in the USA. It is also across the river from historic Williamsburg! Feel free to follow the drop down menus at the top or the menu list at the bottom to browse pictures, find out about our current events including any recent dog show brags, breedings we may have planned or have done, read more about who we are, our goals and information about our contracts. 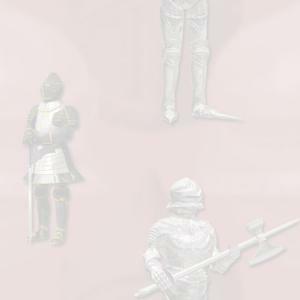 We will constantly be adding pictures and information to this website, so be sure to check back frequently for updates. above to enter our site. and was updated on August 12, 2018. ** All written contents, pictures and variations of Epiphany Mastiffs such as epiphanymastiffs.com, epipha>nykennels.com, etc. have been provided by Candi Thore and Tracy Thore. Any reproduction of this material in whole or in part shall not be used without permission in the production of any website or text and must have Candi Thore and/or Tracy Thore's written permission before use.